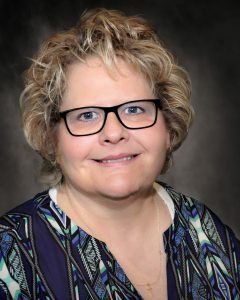 The Oklahoma Association of Career and Technology Education (OkACTE) named Tanya Vasso, Radiologic Technology Coordinator at Meridian Technology Center, the Postsecondary Teacher of the Year for the Oklahoma Department of Career and Technology Education system. Vasso won the state title and a $5,000 check and will advance to the Region IV competition next spring. Each year OkACTE recognizes leaders in the career and technology education field during the Oklahoma Department of Career and Technology (CareerTech) Education’s annual Summer Conference. Meridian instructors Donna Cantrell, Russell Frick and Les Little received divisional honors. Vasso’s dedication to excellence has been a driving force in the success of Meridian’s Radiologic Technologist program. Over the last five years, the program has had a job placement rate of 98% and a national certification pass rate of 98%. Part of this success can be attributed to Vasso incorporating learning style assessments into the program and instructors facilitating class to meet the learning styles of each student. Throughout her 25-year career, Vasso has been an industry advocate beyond her work in the classroom. 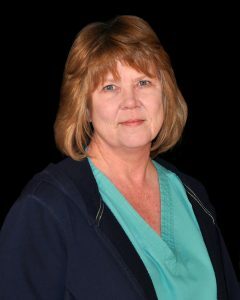 She has served the Oklahoma Society of Radiologic Technologists in the elected positions of chair of the board, president, president elect, vice president, educator representative, and as the Oklahoma representative to the American Society of Radiologic Technologists. In her role for the state, she represented professionals from Oklahoma on issues facing the profession at the national level. 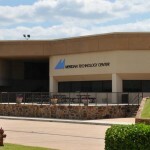 Vasso also has served as member at large and vice president for the Oklahoma Department of Career and Technology Education in the Health Education Division. Donna Cantrell, Culinary Arts Coordinator/Instructor, was honored with the Carl Perkins Community Service Award for the Family and Consumer Sciences division. Cantrell and her students have been active in fundraising activities for Stillwater Area United Way, the Meridian Technology Center Foundation Blue Streak Run, the Meridian Technology Center Foundation Golf Tournament and Leadership Stillwater fundraising activities to benefit the newly established regional foodbank. She has also coordinated student community service projects that include a fundraiser for teacher scholarships and a recycling program that enables post-9/11 disabled veterans to receive training. Outside of the classroom Cantrell works behind the scenes to solicit corporate sponsorships for various activities that benefit Meridian students. 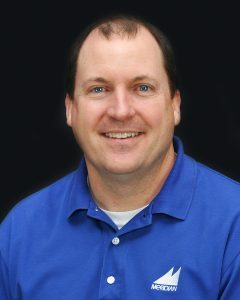 Russell Frick, Computer Aided Design Instructor, was honored as the Teacher of the Year for the Trade and Industry Division. Frick is consistently ahead of the curve on implementing new technology and instructional practices. He is a leader on campus for professional development and recently served on the committee to plan and implement a campus-wide student engagement program. 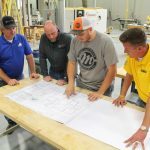 In addition to his full-time teaching schedule, Frick has worked with local industries to advance the skill sets of their workforce and taught professors at Oklahoma State University to update their skills. 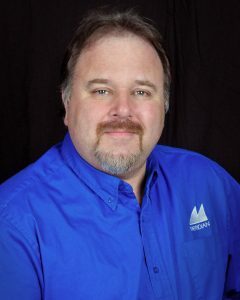 Throughout his career he has been active within the Trade and Industry division, having served as president for the association and a district advisor for SkillsUSA on multiple occasions. Les Little, Information Technology Instructor, was honored as the New Teacher of the Year for the Business, Marketing and Information Technology division. Little has brought a wealth of knowledge and expertise to the Information Technology program from his 23-year career with the Stillwater police department. He has made significant changes to the curriculum, most notably blending content from criminal justice and information technology to equip students with the knowledge needed to safeguard and secure cyberspace. The new cyber crimes specialist career major has provided students more opportunities. Little strives to introduce students to all areas of IT specialization, including health care, entertainment, education, private business and government agencies. Because of his background and influence, students are now prepared to pursue career options with local law enforcement, the Oklahoma State Bureau of Investigation and the Federal Bureau of Investigation. For more information or to enroll visit meridiantech.edu or contact a career counselor by phone at (405) 377-3333 or toll-free at (888) 607-2509.